I had the pleasure of doing live sound for the recent visit of Lama Ole Nydahl. 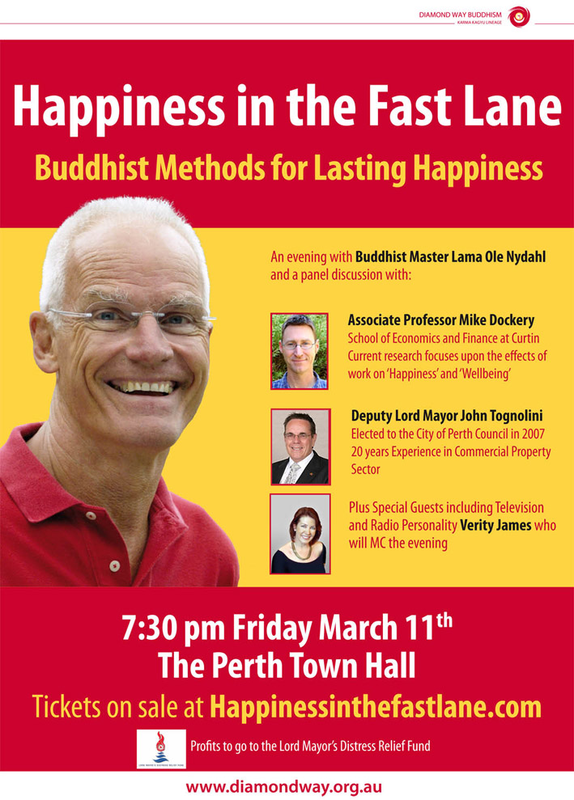 We started at the Perth Town Hall on Friday night, this was in the form of a panel discussion on "Happiness in the Fast Lane" with Verity James as MC and guests Associate Professor Mike Dockery and Deputy Lord Mayor John Tognolini. 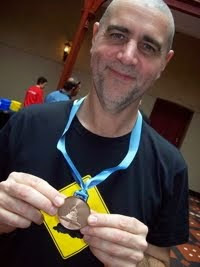 The event was also webcast live, filmed and recorded. Jeremy gave me a hand on the night as the mix position is up on a balcony a long walk from the stage. On the Saturday I supplied PA and recording at the Melville Civic centre for 2 sessions, afternoon: "Buddhism in the West", and evening: "Buddha and love". Again both sessions were webcast, filmed and recorded, with a lot of questions being fired back from the net from people on the webcast.